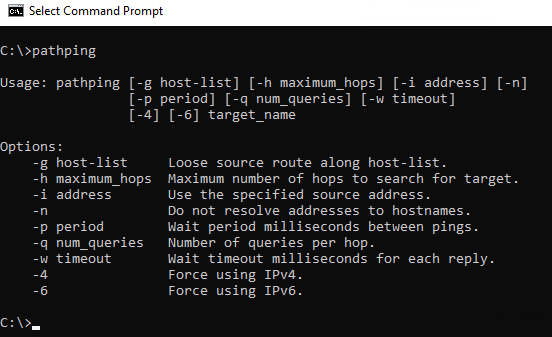 Pathping is one of the extremely useful built-in Windows network utilities that allows you to check the packet loss on a route to some remote network node (server or router), information about latency (delay) on a network, and also to understand at what stages of the packet transmission these losses or delays are happening. The pathping.exe utility has been included into the Windows since Windows NT/2000 and is located in the %windir%\System32 directory. It is also present in modern OSs like Windows 10 and Widows Server 2016/2019. The utility combines the capabilities of two other standard Windows network utilities: ping and tracert, and also works on the basis of the ICMP protocol. 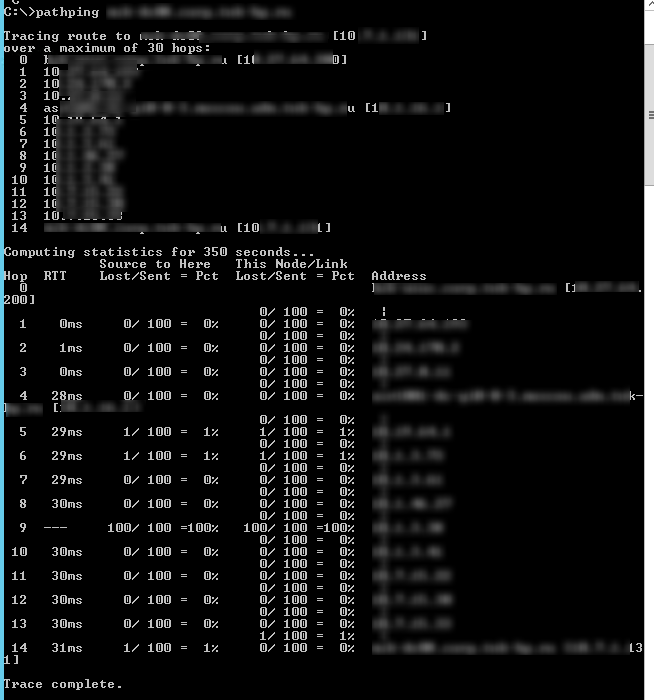 The pathing first performs a route tracing to a remote node (like tracert), and then polls the destination node and all transit nodes using ICMP echo requests like ping. In this way, it is possible to obtain information about the losses at each stage of the transmission of network packets between your computer and remote server. Info. Only network devices such as routers, L3 switches, firewalls and servers support the ICMP protocol. You can’t verify packet loss on simple network equipment (like hub or L2 switch) using pathping command. Pathping returns the packet loss rate for each router, so you can identify routers, with a large number of losses that interfere with normal network operation. Without parameters, the command help is displayed. 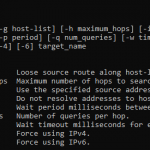 6 — Force using IPv6. After polling all the routers, the utility calculates the average response time, the number of sent requests and received answers, and the percentage of losses. These metrics are calculated for each router in the trace. Losses of 1% or higher may indicate poor or incorrect operation of the network or a transit routers. In this case, it is recommended to contact the provider or network administrators.